After the cold winter the spring greens and shoots are a bit slow to emerge. We find ourselves turning our faces up towards the sun on the nice days, warming our cheeks. Looking down at the ground for signs of life is second nature for us as we take short walks along muddy trails, and we are even taking note of the swelling buds of the trees. Not long now before we begin another year of enjoying our scavenger hunt for edible plants and fungi, where the prizes are delicious! 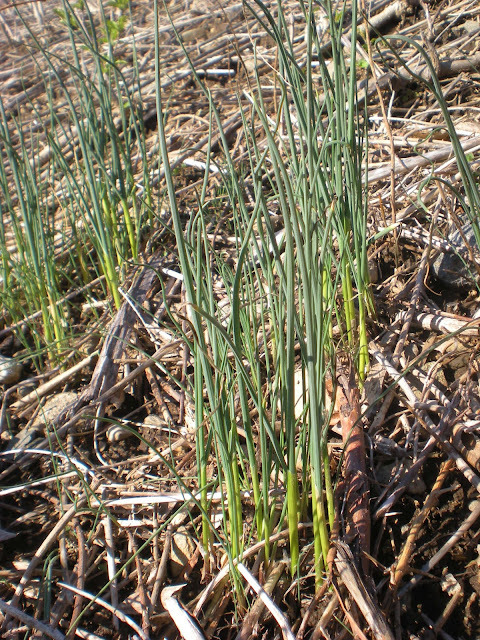 Those pesky yard onions, Allium vineale! Use them like chives, in potato salad, on baked potatoes, in a savory quick bread, in soups, grill the small bulbs until they sweeten, just use them up! Hairy bittercress, Cardamine hirisuta, a small plant in the mustard family. 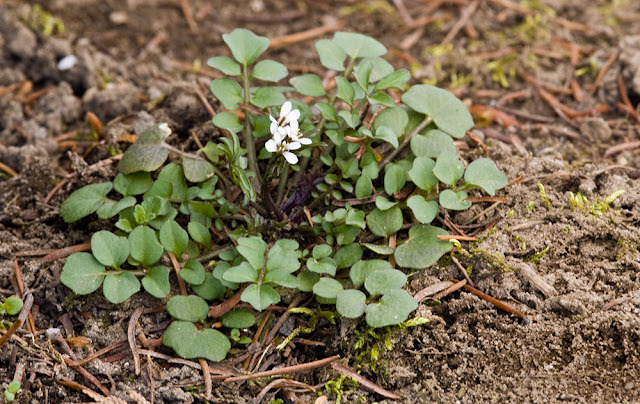 The leaves and flowers are peppery and bright in salads. 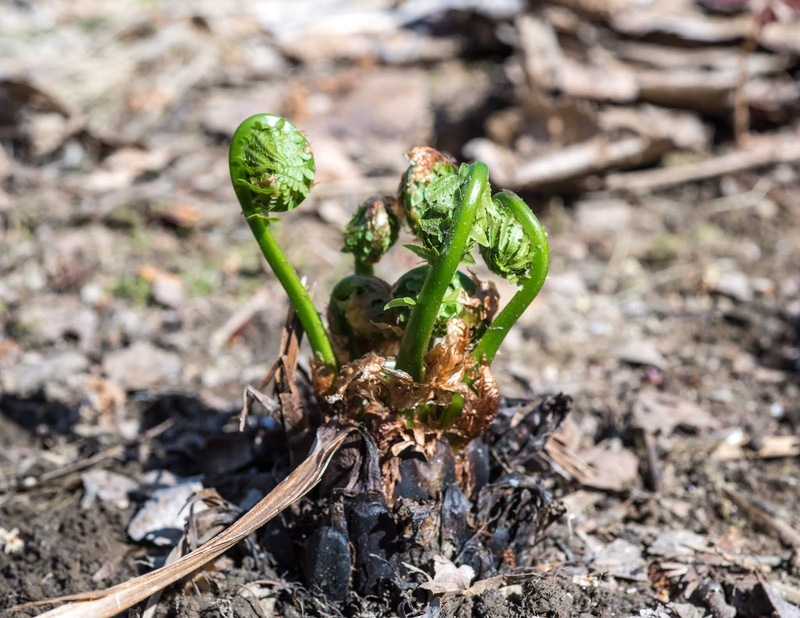 Ostrich fern fiddleheads, Matteuccia struthiopteris, are the only species of fern fiddleheads we eat. They are growing more scarce in our area of southern New England due to habitat loss, so we only collect enough for a single meal each season. Further north into eastern Canada, they thrive in the wide open river floodplains. Sustainability is key- only collect half of the fiddles per crown, and never more than you need. 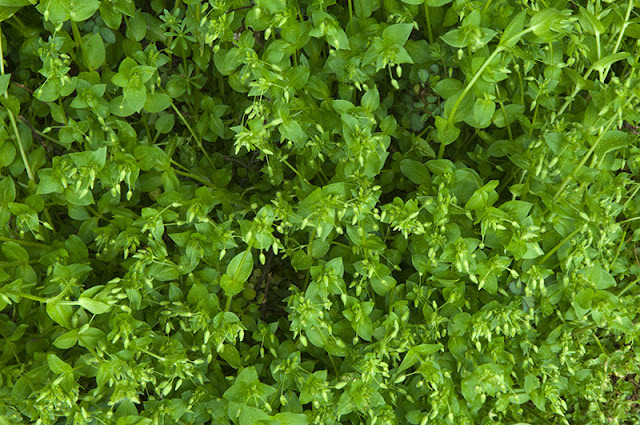 Tender and mild chickweed, Stellaria media. These have been out for awhile, ad they'll be good eating until it gets too warm and they go leggy. Eat raw and add to smoothies, or add last minute to soups to keep the green color. Common daylily shoots, Hemerocallis fulva. Sautee these with a toucg of sesame oil and soy sauce for a quick side dish of greens. 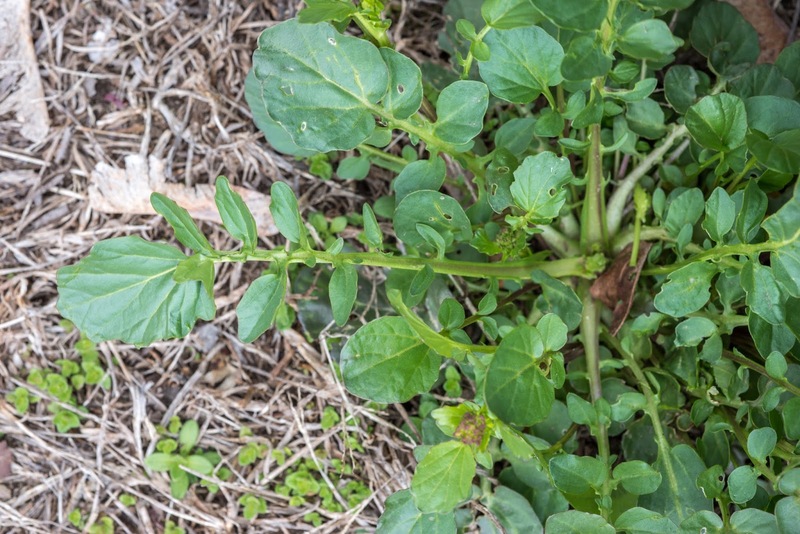 The tubers are good to collect in spring as well, and we can look forward to the edible flower buds, flowers, and wilted flowers later in the season. 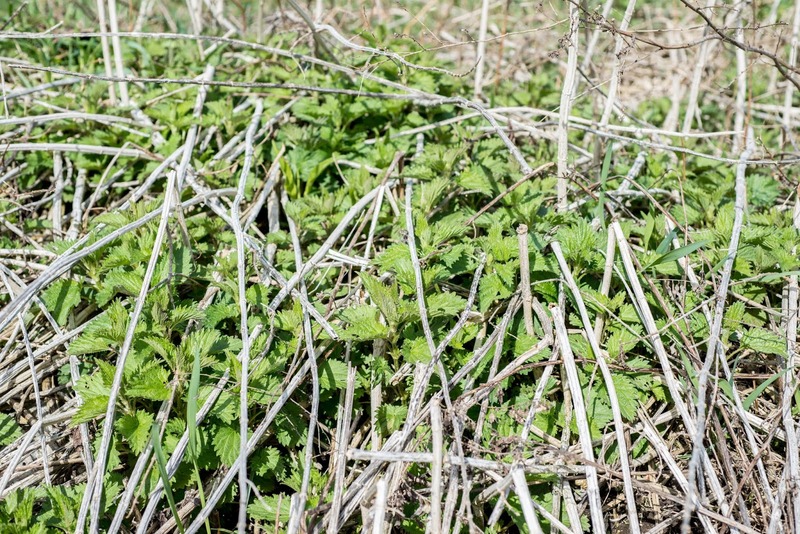 Stinging nettle shoots, Urtica species, packed full of iron. These are my personal spring tonic, and we collect them for soups and to add to smoothies raw, dry some for a seasoning powder, and dry some for tisanes. 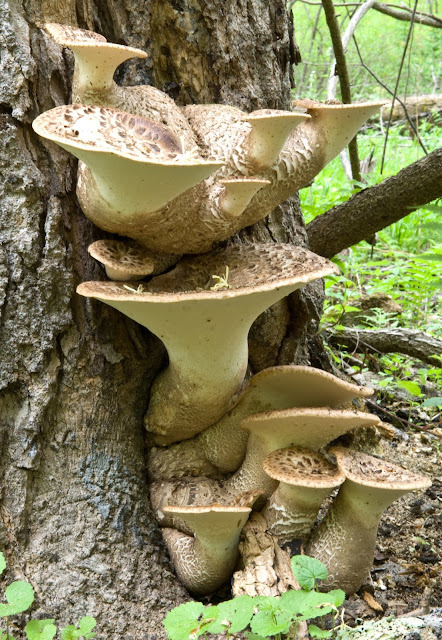 Dryad's saddle mushrooms, Cerioporus squamosus, a wood rotting polypore of spring that can be delicious when collected young. Look for them on big, old maples and make sure your knife cuts through them easily, otherwise it will be too tough for the plate. They are well flavored with just a sautee and a touch of salt, but meaty enough to stand up to stronger spices like Korean gochujang. 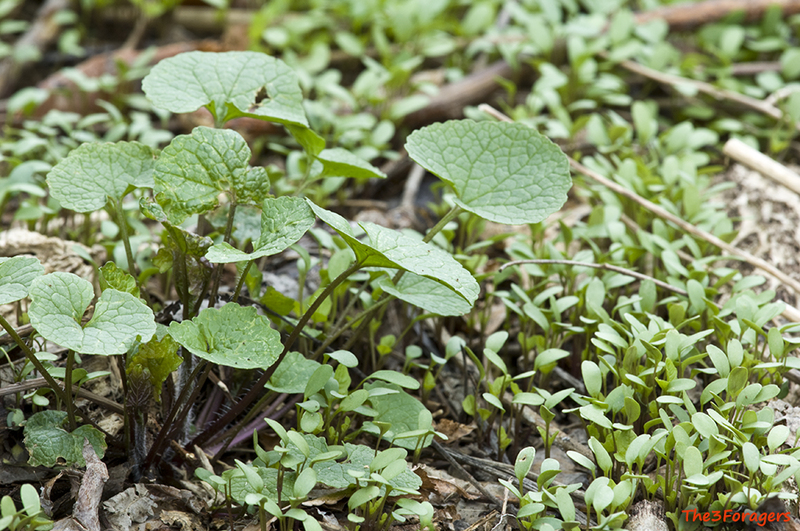 Invasive garlic mustard, Alliaria petiolata, showing the start of the second year's growth almost ready to set up a flower stalk, plus first year's growth of sprouts from the many seeds this plant produces. Eat it all--greens, leaves, roots, flowers, seeds, sprouts. 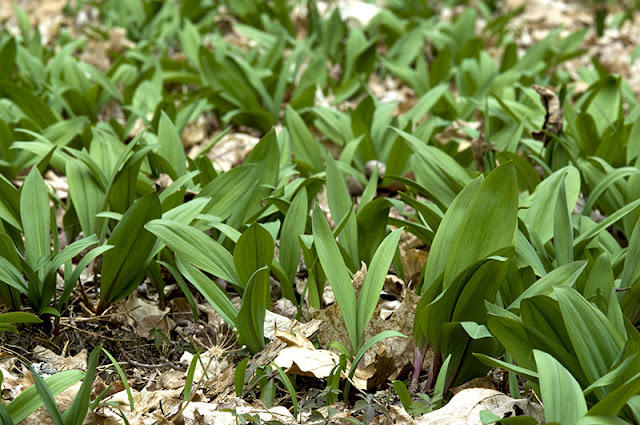 Ramps greens, Allium tricoccum. Collect sustainably--one leaf per plant, don't dig the bulbs! A pungent burst of garlic and onions in a chlorophyll filled green leaf, intense flavor for all dishes and a puree that keeps in the freezer for use all year. Yellow rocket, Barbarea vulgaris, another member of the mustard family. Spring is when the greens are tender, and the flower heads cook up like broccoli rabe. A touch bitter, but a good green for cooking. 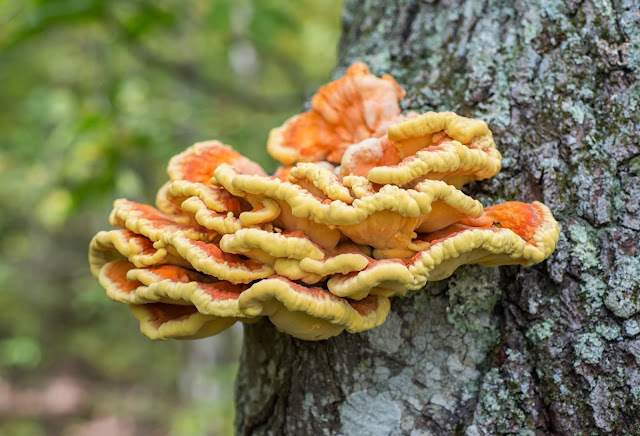 Chicken mushroom, Laetiporus sulphureus, can fruit in three seasons, sometimes we manage to find a surprise "spring chicken" for dinner. When collected young, this can be one of the most versatile edible polypores due to its excellent texture and use as a meat replacement in vegetarian preparations. 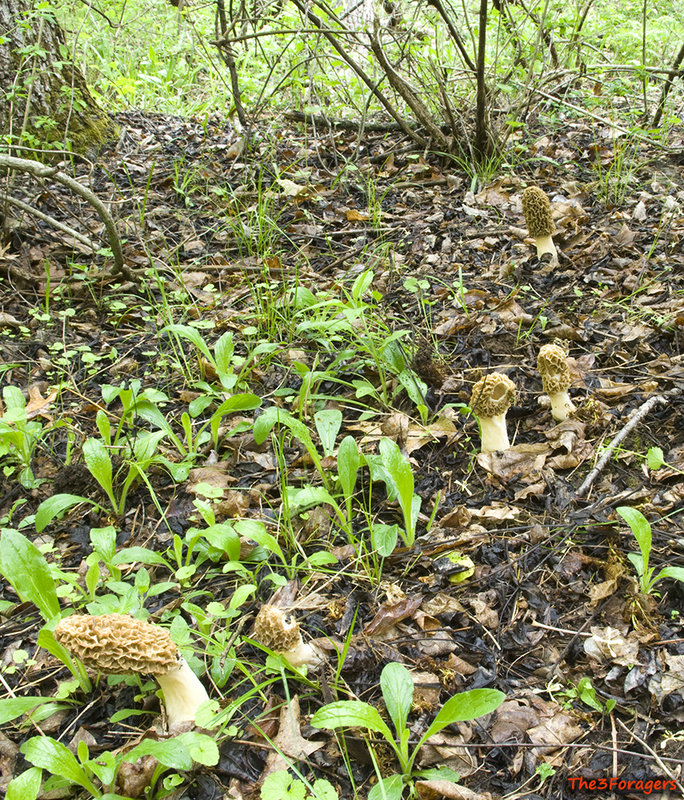 Yellow morels, Morchella americana, a sometimes difficult to find mushroom in our area. Head to the midwest for abundance, but we still enjoy the hunt. Another dreaded invasive, Japanese knotweed, Polygonum cuspidatum. 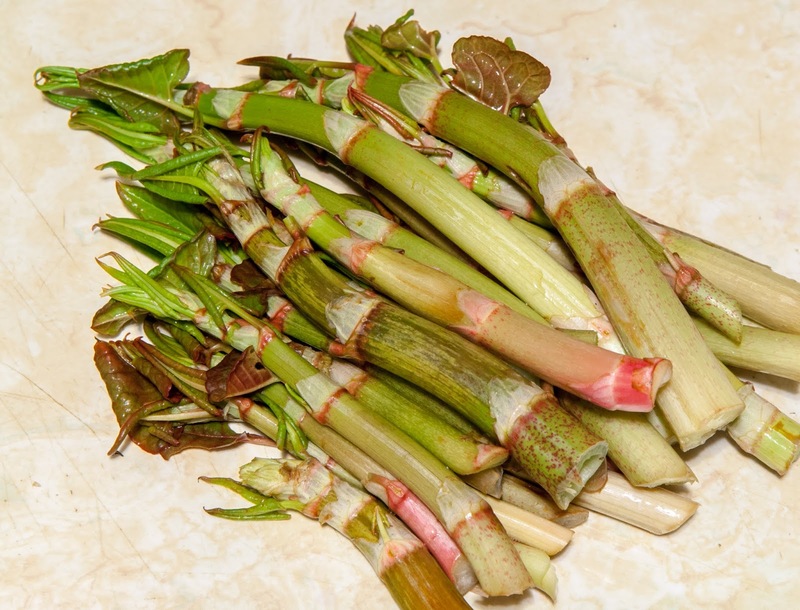 Use the tender young shoots in sweet or savory preparations. Bake in pies, make a jelly, roast with herbs like a vegetable, slice thinly and eat them raw. This is a good wild plant to experiment with to find your own favorite recipes, then share them and teach others to eat more knotweed! What's the earliest you've seen dryad saddle? I'm in Central MA and have found dryad saddle before, but always a little past prime.